In an article in the renowned Wall Street Journal of 8 September 2016 (“Germany offers a promising jobs model”), the American labour market economist Edward Lazear and the IAB researcher Simon Janssen recommend that the US introduce a dual vocational training system following the German example. The US economist Erik A. Hanushek clearly objected to this in another article in the Wall Street Journal (“German-Style Apprenticeships Simply Can’t Be Replicated”). Reason enough for the editorial team of IAB-Forum to inquire with Simon Janssen. Why do you recommend the US copy the German vocational training system? The USA have many top universities providing excellent academic education. However, many people who do not or cannot aspire an academic degree only have a basic high school diploma without ever undergoing any formal further training. It is especially this group of people for whom the job and income prospects have been severely deteriorating in the US over the past years. Many American politicians blame this process exclusively on globalisation and the technological change. However, we assume that the problem goes deeper and is particularly due to the American education and training system providing too little occupation-specific education for an average skill level. Our empirical findings from Germany show quite clearly that Germans with a vocational training degree are unemployed less often and earn more– and this despite the fact that Germany is even more subject to international competition than the US due to its strong foreign trade interdependency. Another US economist, Eric A. Hanushek, has now objected to this. If the professional requirements changed, the special competences conveyed in the dual vocational training system would become obsolete over time. When over 50 years of age, German employees with general education and training would be better off than their peers with a vocational training degree. Has dual vocational training become outdated in times of rapid technological change because it does not convey the general cognitive skills to adapt to new requirements quickly? It is correct to assume that many professions will change fundamentally due to the technological change. Eric Hanushek hence fears that a dual vocational training system following the German example focuses too much on job-specific contents and technologies and is thus not flexible enough to react to changes in job profiles. In his view, the US should not introduce a dual vocational training system but further expand academic education at universities to convey more general skills. However, although some evidence suggests that the labour market participation declines for older persons with an apprenticeship degree, the overall employment prospects over the entire life course are very good — in particular, for young apprenticeship graduates who, on average, have better employment prospects than workers with other degrees. Moreover, the discussion about the substitutability potential of modern technologies often neglects that the interaction of humans and machines will also become more and more important in the future. This interaction requires both specific knowledge of certain technologies and general skills applicable across companies and professions. Dual vocational training conveys both types of skills by combining academic and vocational education and training. I am, therefore, convinced that the dual vocational training system has a future despite technological change. However, vocational training should remain flexible and adaptable. Moreover, it is definitely advisable to create sufficient offers for further education and training, such that apprenticeship graduates can adopt to the consequences of technological change, and to improve the transition between vocational training and academic education. Can the German vocational training system — historically grown over decades and requiring a quite complex institutional framework — even be transferred to other countries? Of course, the German vocational training system has grown historically in Germany. However, I do not believe that the training system has survived due to country-specific standards or institutions. German companies would not be this globally successful if that was true. I rather think that companies benefit from dual vocational training. Several studies show that both Swiss and German companies benefit from their investment in vocational training at the bottom line. The system pays off for the companies. Hence, I assume that dual vocational training can also be implemented in other countries. And there are some ambitions in this direction in the USA. Of course, you must be aware that such an implementation cannot be done overnight, it requires large investments and country-specific adaptations. So, you are saying that the dual system would also work well in other countries. Should it not be an export hit then? Well, the dual vocational training system does not only exist in Germany but also in other countries, such as Switzerland, Austria, or Denmark. However, the implementation of a dual vocational training system requires great joint efforts of policy makers and firms. This means in particular that all participants must be convinced about the benefits of such a training system. Otherwise, it will be very hard to implement a dual vocational training system. In this sense, countries like Germany, of course, do benefit from the fact that the vocational training system has grown historically. The interview was conducted by Martin Schludi. 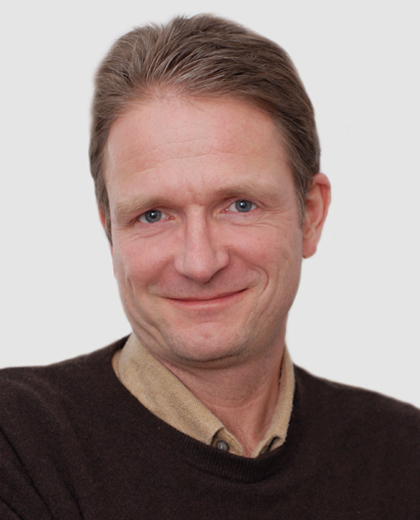 Dr. Martin Schludi is scientific editor in the Department of Scientific Media and Communication Strategies at the IAB.